If you like the prospect of a one click installer because you don't want to fuss to much about setting up and configuring gitlab, then you are going to 100% regret using this instance. Here's the facts. Bitnami changes many things from the default gitlab installation. They apply these changes to new versions, even against old versions. This BREAKS smaller features of the gitlab system. Bitnamis documentation is horribly out of date, and the inconsistencies between the version that is installed and the version you are actually using will make a newbies life a nightmare. Finally, if you don't believe me in this, let me quote gitlab themselves. One-click installers are frequently out of date and might not contain our Omnibus packages. An example of this are the Bitnami packages in the past couldn't be updated and are now much harder to update than the Omnibus packages. We advise to not use one-click installers but instead start an vanilla Ubuntu 14.04 instance and use the recommended Omnibus package installation. This is almost as quick as a one-click install and you're sure of the latest version and easy upgrades." So, in short: Do not use this. Works well for the most part. Getting the password for the default admin account (user@example.com) took a few minutes for me to read enough to realize the initial password is generated and is found in the System Log. Setting up new accounts is a pain because email does not work, which is required for users to verify their email address and enable the account. I didn't want to spend the time fixing email so I just went with a free bitbucket account instead. Gitlab it was started, but was not able to login. Although HP has confirmed the other of Bitnami, login method eventually could not understand. 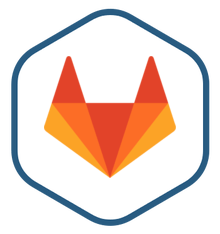 Gitlab is deployed in a very specific, non-standard way here and you'll have to go with the bitnami documentation (which is ok) to update it. In addition, there were a few glitches in the default installation I was unable to sort out. So I switched to a FreeBSD instance, installed Gitlab manually and now it works like a charm. Good, convenient. Maybe the easiest way to set up a git server. But the sendmail function was disabled on AWS by default, which troubled me in the beginning process. Works like a charm, out of the box. Nothing more to say, but i have to write more words here. Installation takes 5 minutes, and configuration is very easy since they include links to FAQs and basic stuff you should know. Be careful with the host and port, since it sets the ones where the machine installs by default, but if you then assign a static IP you must change them manually. I installed the bitnami instance, very pleased with the one click setup. However not only did the emails not work, but neither did the repo access. Could not clone, push, etc. It appears to be a domain problem as the repo access is via the amazon assigned public domain. Either way, I could not figure out how to get the domain changed. Documentation or help specific to the bitnami machine instance was lacking. In the end I ended up scraping it and using the a linux ec2 instance on which I used the bitnami linux installer. I had the same issues here with domain, but due to more widely available documentation I was able to quickly resolve it. One big issue I found with this particular image is the lack of HVM support which makes it unsuitable for the newer (small) AWS machines like the t2.micro and t2.small. There's no upgrading from non-hvm to hvm machines which requires you (when upgrading from a t1.micro) to upgrade to a rather expensive machine instance. Other than that Bitnami images are pretty nice. They're rather complete configs and almost ready to go into production. Everything is working as expected. The only missing part was the email sending server, but this is easily fixable with apt-get installation.